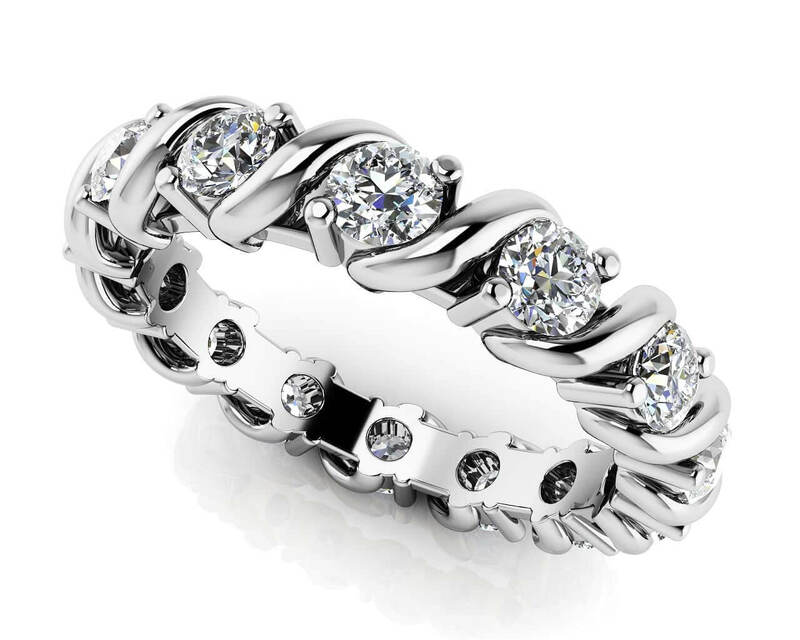 This beautiful and unique design features round diamonds in a shared prong setting. 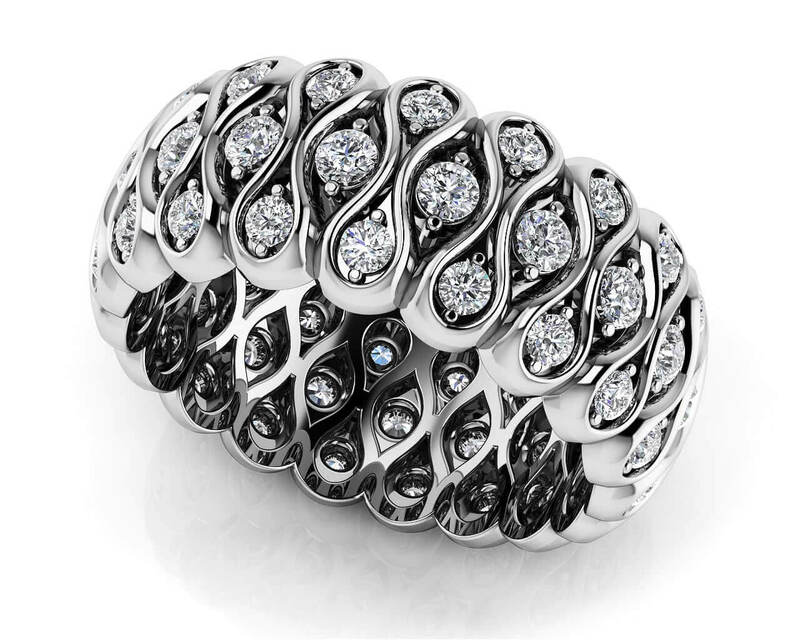 Each diamond is artistically cradled in the design of the eternity ring. 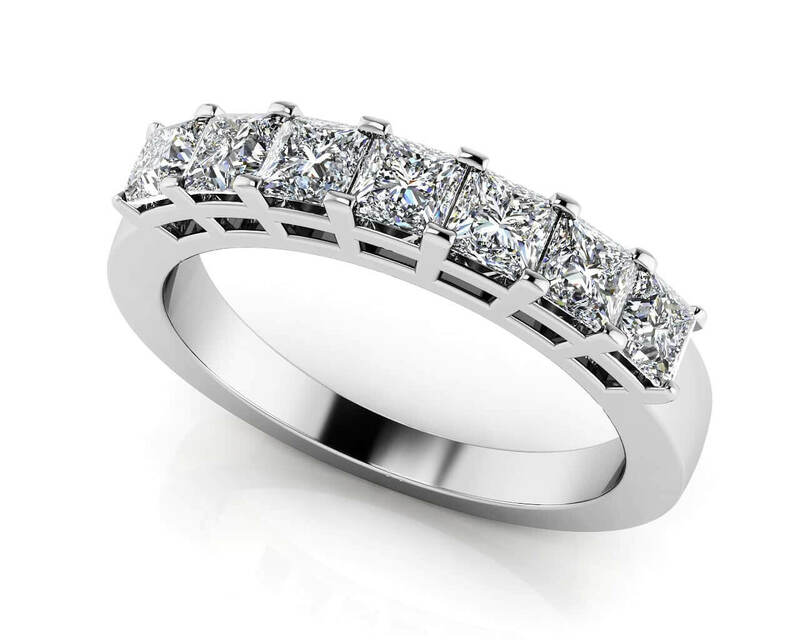 Customize your ring by selecting the metal type, diamond quality and size. Stone Carat Weight: 19X0.025 ct., 38X0.015 ct.